Fresh berries are some of the most powerful (and delicious) disease-fighting foods available. 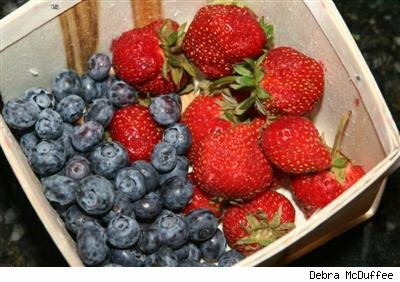 The are naturally low in calories, but the best news about berries is their abundant anti-cancer and anti-aging benefits! Their antioxidants help the body fight against a variety of diseases, including lung, skin and cervical cancer; heart disease; high blood pressure; and Alzheimer's disease.